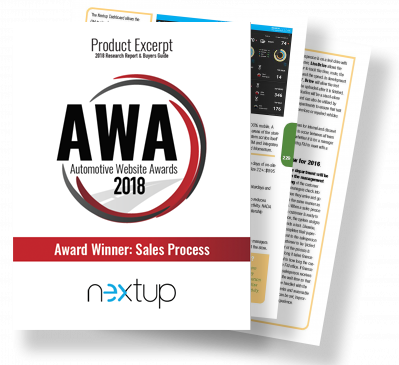 Anaheim, CA – At the recent NADA 2018 Conference and Expo, Nextup was recognized by the Automotive Website Awards for excellence in Sales Process for a fourth year in a row. Award recipients in this category have gone above and beyond to enhance, both, the online and in-store sales processes. 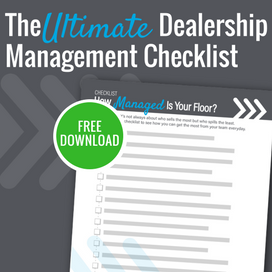 This year, not only has Nextup continued to be a critical process for dealership sales staff, but they have enhanced their platform to create more efficiencies in the Finance Department and Service departments through their Transact and Maintain platform add-ons. Additionally, the mobile app has been enhanced for ease of use and is much more icon-focused. Every activity on Nextup is 100% responsive. Push notifications have now been added as well. 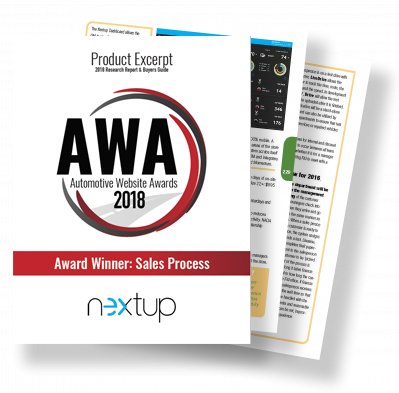 Nextup is a Managed Retail Sales Process (MRSP) - A mobile-based software enabling dealers to track and measure all opportunities coming into a dealership while giving sales professionals more time to work their CRM tasks. 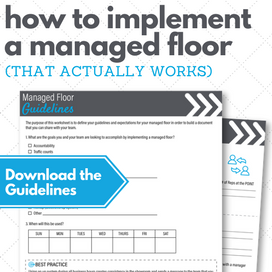 Download the free product excerpt from the 2018 AWA Research Report & Buyers Guide to help you get started.